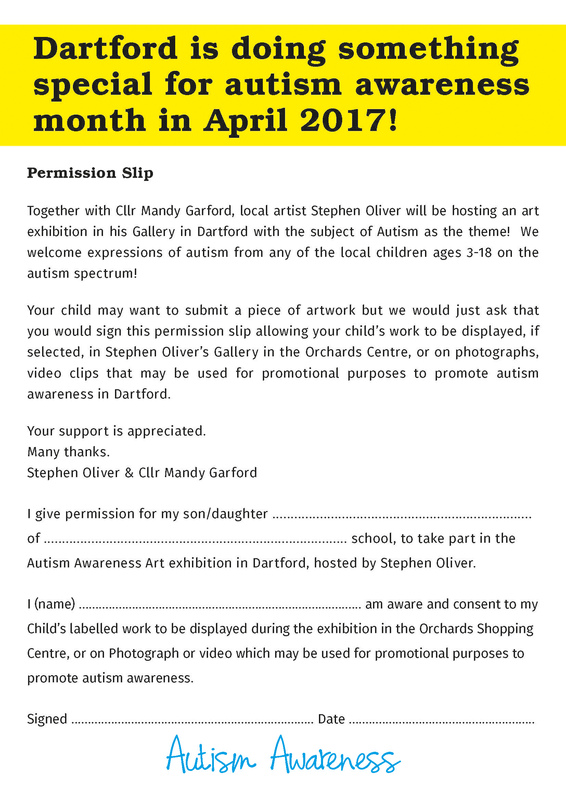 Dartford is doing something special for Autism Awareness in April 2017! 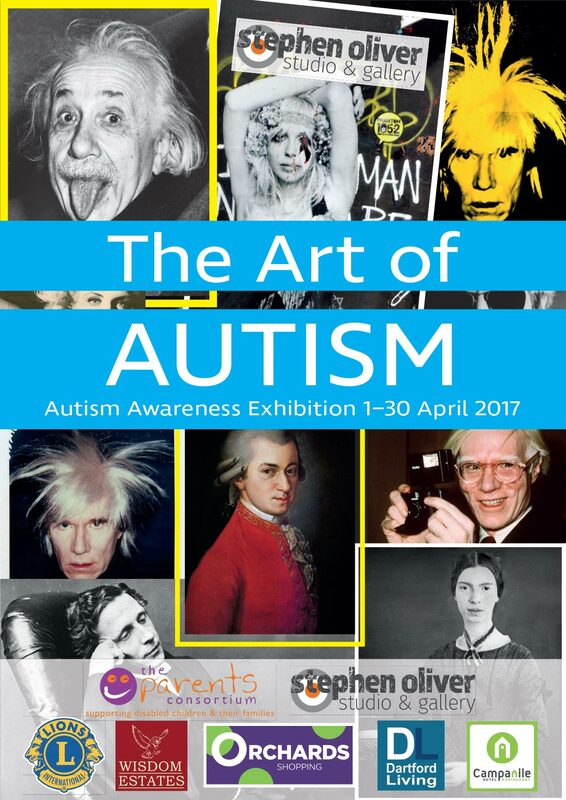 Together with Cllr Mandy Garford, I will be hosting an art exhibition in my Gallery in Dartford with the subject of AUTISM as the theme! 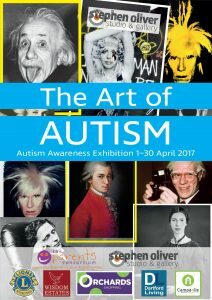 We welcome expressions of autism from any of the local children ages 3-18 on the autism spectrum! This could be artwork on paper, canvas, as a sculpture or something more extravagant. Just one piece per ASD child, or as a group please. 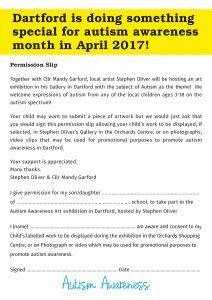 Any entries will be considered for display in the gallery over the weeks set aside to raise autism awareness in Dartford. Entries and permission slips must have been received by March 25th 2017. 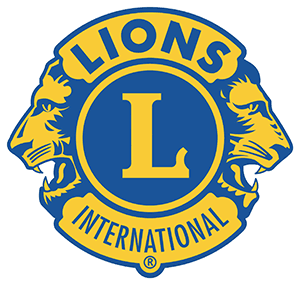 Please make sure all submissions are labelled with a title, child’s name, age and school. Work can be collected at the end of the exhibition. If the finished work is on paper please mount on card for display purposes. Or on canvas/frame then please provide a means of hanging (a cord or wire across the back). Please ensure that a parent or guardian has signed the permission slip and enclose with the art work.